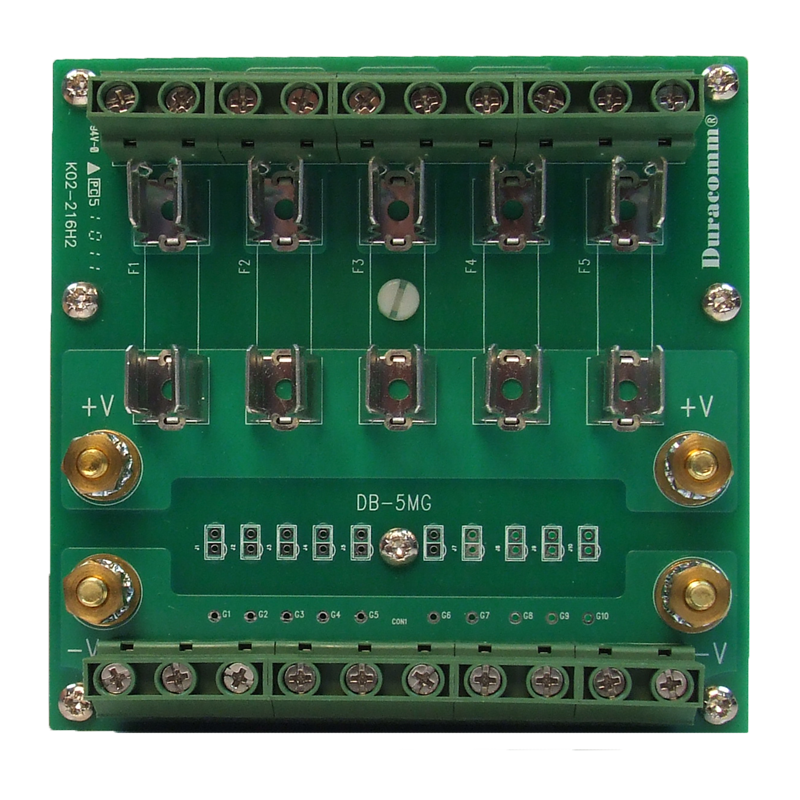 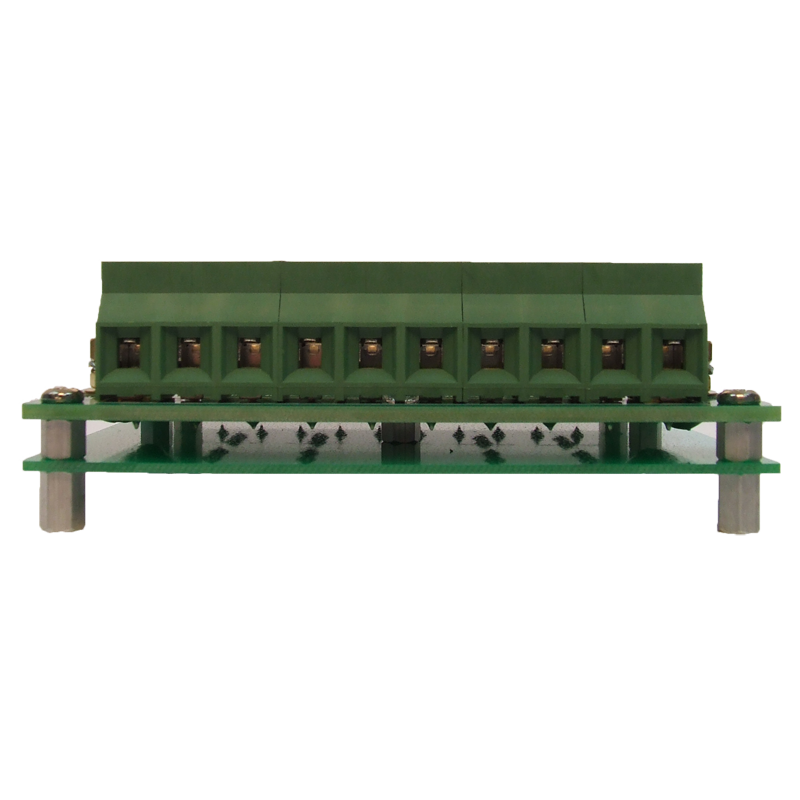 The DB-5MG is designed for DC power distribution from 5 to 100 VDC using13/32” x 1 ½” midget fuses. 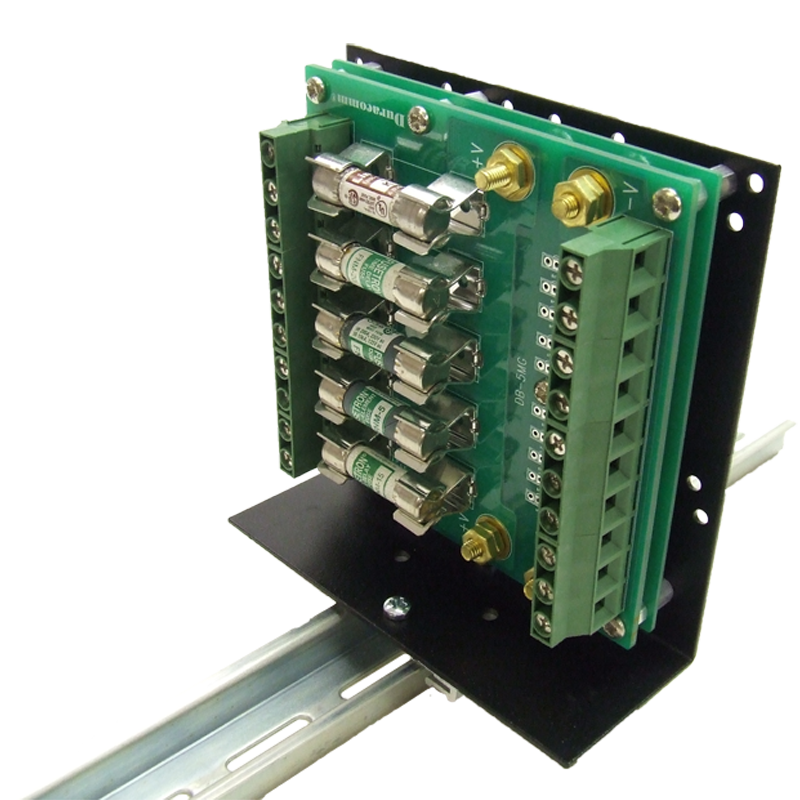 It is suitable for use with solar power applications. 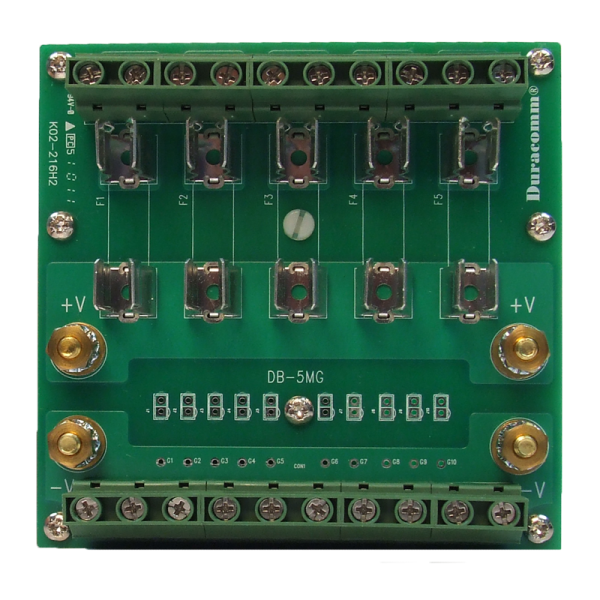 It is up to 30 Amps per circuit / 75 Amps per block.